Do you know any students who speak Spanish or who want to build their Spanish skills? Bilingual students have stronger cognitive abilities and higher chances of getting employed than their counterparts who only speak one language. Making Camp: Bilingual teaches math and history in Spanish. In the game, players solve challenges and earn points in a village building simulation game. Whether you have English language learners in your classroom or are a parent who wants their kids to learn to speak Spanish, today is your lucky day. 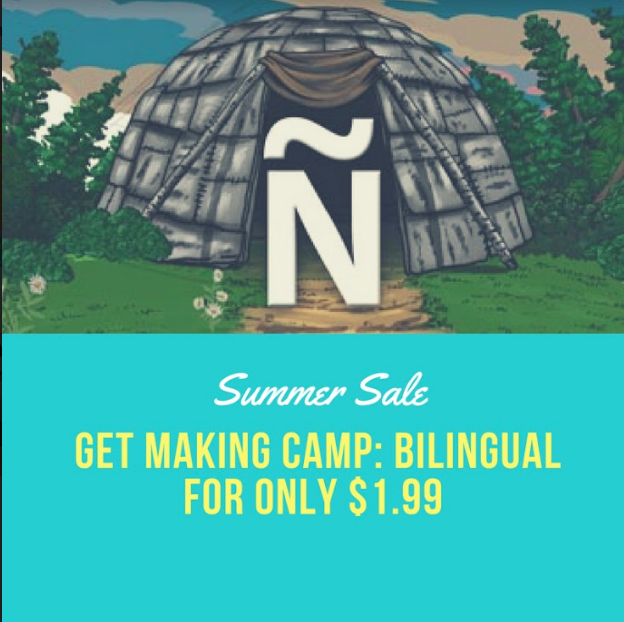 As our Day 3 summer sale deal, you can get Making Camp: Bilingual for only $1.99! Each day we will be releasing a new deal that will expire after 24 hours. Details of today’s deal below.